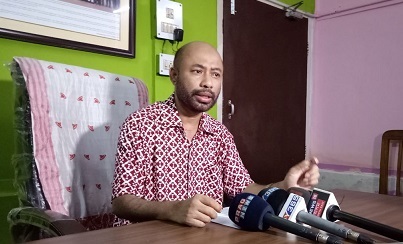 Hailakandi legislator of the All India United Democratic Front’s Anwar Hussain Laskar on Thursday alleged that the district administration of Hailakandi has not provided proper information regarding the flood affected areas. Addressing a press conference here on Thursday, Laskar claimed that he had the original data of flood affected areas in his home constituency. Laskar demanded a special package of Rs 500 crore for flood-affected Hailakandi while he refused to speak on the flood situation of other places of the State. He also urged the State Government to waive the agriculture loans taken by the farmers keeping in view the prevailing situation in Hailakandi.